The Free Syrian Army (FSA) Supreme Military Council will meet shortly to discuss the “treacherous assassination” of one of its 30 members by Islamist militants linked to al-Qaeda. The announcement was made on air this afternoon by Louay al-Mekdad, the FSA’s political and media coordinator. In remarks to Alarabiya TV news channel, Mekdad confirmed militants from the “Islamic State of Iraq and the Levant,” a hardline Islamist group, killed Kamal Hamami in Latakia port city’s rural area yesterday after luring him to a meeting to discuss battle plans. 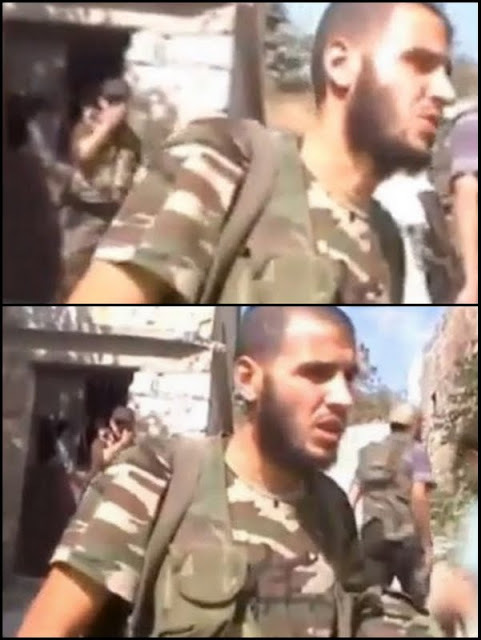 Kamal Hamami -- better known by his nom de guerre, Abu Baseer al-Ladkani – was in charge of a key brigade within the FSA, namely the al-Izz bin Abdessalam Brigade. Reuters later this afternoon quoted Mekdad saying Abu Ayman al-Baghdadi, the Islamic State's Emir of the coastal region, personally shot dead Hamami and his brother at the roadblock. He said a fighter who was travelling with them was set free to relay the message that the Islamic State considers the FSA heretics and that the Supreme Command is now an al-Qaeda target. "If these people came to defend the Syrian revolution and not help the Assad regime, then they have to hand over the killers," Mekdad said, adding that the bodies of the two men were still with the al-Qaeda affiliate. While FSA units sometimes fight alongside Islamist militant groups such as the “Islamic State of Iraq and the Levant,” rivalries have increased and al-Qaeda-linked groups have been blamed for several assassinations of commanders of moderate rebel units. The London-based Syrian Observatory for Human Rights, which monitors the conflict, said the FSA and the Islamic State have had violent exchanges in several areas of Syria over the past few weeks, showing growing antagonism between President Bashar al-Assad’s foes. “Last Friday, the Islamic State killed an FSA rebel in Idlib province and cut his head off. There have been attacks in many provinces,” the Observatory’s leader Rami Abdurrahman said. Two of Hamami’s men were wounded in yesterday’s attack, he said by telephone.